Even though our current weather pattern of afternoon thunderstorms and highs in the 90’s might not suggest, the time to plant vegetable gardens in Central Florida has arrived. If you are not from Central Florida or have never tried backyard gardening before, our optimal growing season is September through May. Because of our tropical weather and general lack of freezing temperatures, the best time to grow vegetables is here. Central Florida is very different than the rest of the country when growing vegetables in two major ways. First, although there is a chance of a hard freeze during the winter months, it is unlikely. We haven’t seen a vegetable killing frost or freeze in the last several years. Those of you who are still fearful of frost should stick to cold hardy veggies, such as collards, cabbage, broccoli, cauliflower, kale, and most of the root crops (carrots, onions, potatoes). The second difference in our growing schedule is our summer. As we have just witnessed, our summers can be extremely hot and wet. Most of the warm season crops during the summer months (June-August) are too hot, too wet, or stressed out. So, if you struggled this summer to produce crops and are thinking of giving up … DON’T! Your chances of success in the next six months are threefold of our brutal summer. Next summer, plant okra and peanuts for guaranteed success. 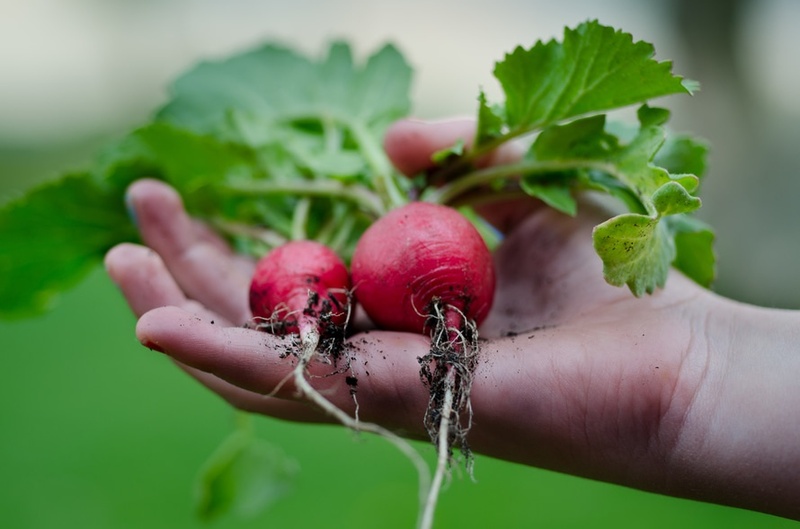 If you are new to backyard gardening, check out the University of Florida’s Vegetable Gardening Guide. It contains detailed information about site preparation, fertilizing, pest control and more. It also has a wonderful chart of all of the vegetables to grow, with information on planting times, days to harvest, seed planting depth, and spacing. Remember, a MINIMUM of SIX HOURS OF SUN is best. Also keep in mind plants will do much better in full sun during the winter months when the temperature is milder and therefore the heat less intense. I like to start with some warm season crops that will harvest in approximately sixty days, such as beans, peas, okra, and collards. All of these are relatively easy to grow and readily available. These are our coolest months. Plant crops like broccoli, cauliflower, cabbage, carrots, lettuce, kale, spinach, mustard, onions, eggplant, tomatoes, or potatoes. Some of these can only be grown when our heat has subsided. This is the time of year that you can try almost any vegetable. They all do best during this current growing season (September – May).